A Realtor and her interior designer daughter-in-law work together to update a bathroom into a bright, airy retreat. After more than a quarter century in their Webster Groves home, empty-nesters Anne and Karl Dunajcik were ready to freshen up spaces that had scarcely been altered since the Clinton Administration—a time when light, bright and airy weren’t necessarily high on the design aesthetics checklist. The younger Dunajcik’s first contribution to the project was her idea to angle the shower, which sat right next to the room entry. 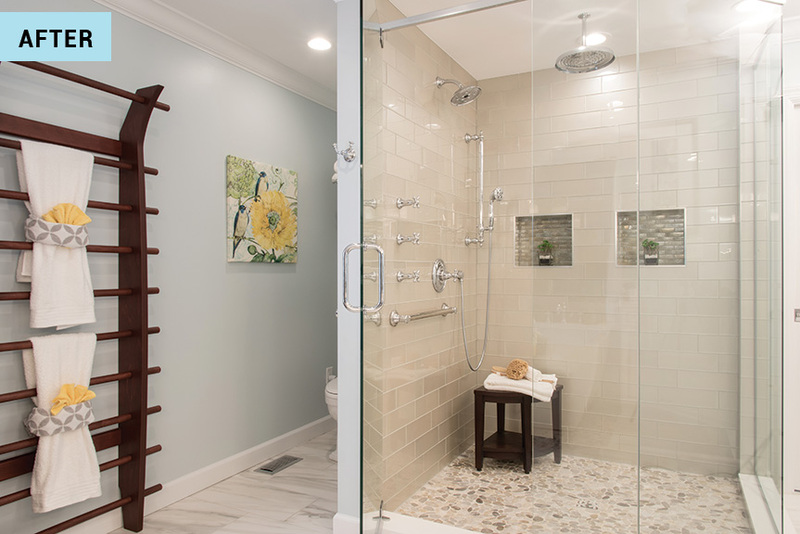 Anne had planned to move it to where the windows sat, but the reconfiguration allowed her to keep the shower in its existing position, make it larger and still get it out of the way of the swinging door, another of Lindsey's ideas. The glass exterior keeps the sightline open, giving Anne a great view of the pebble surface of the shower floor and wall. 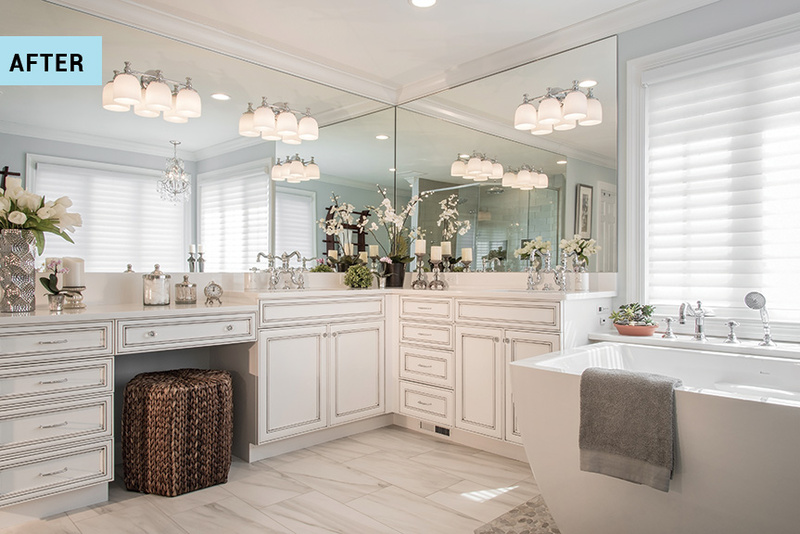 Light tiles and white cabinetry brighten the space even further, making it feel larger, while a mirror across from the shower further enhances the illusion of an expanded space. 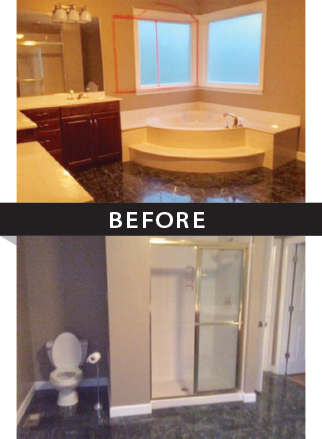 In step with Anne’s desire for a spa-like atmosphere, Lindsey incorporated heated floors and a rain shower head. The new tub, a BainUltra Essentia jet tub—Anne refers to as the “Ferrari” of bathtubs—includes chromatherapy lighting run by remote. Overhead, a chandelier sparkles, while a wood wall espalier provides a touch of warmth and place to stretch muscles tired from dancing. “It just feels like I’ve walked into a wonderful, relaxing, luxurious space again,” Anne says. “One of my favorite little things is pushing the button on the blinds after my shower and they automatically both go up… and I’m welcoming the day.